Zion Williamson got his first real experience of the Duke-UNC rivalry Friday as he led the Blue Devils to a 74-73 ACC tournament semifinal win over the Tar Heels at Spectrum Center thanks to 31 points and 11 rebounds. Williamson played just 36 seconds of Duke's first regular-season game against UNC on Feb. 20 after suffering a knee sprain. That injury kept him off the court for the remainder of the regular season, which included another matchup with the Tar Heels. The 6'7", 285-pound forward wasn't denied an opportunity to play a full game against UNC a third time, however, and contributed his patented array of highlights. 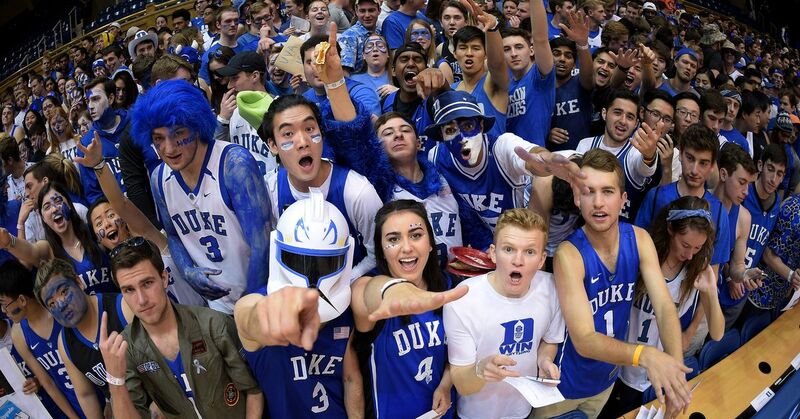 Williamson and the Blue Devils could conceivably face the Tar Heels again in the men's NCAA tournament, but before then, the team has to face Florida State in the ACC tournament championship on Saturday at 8:30 p.m. ET.